South Island’s Westland District is perhaps New Zealand’s best kept secret, a staggeringly beautiful stretch of coastline jammed between the Southern Alps and the Tasman Sea. Empty beaches, massive glaciers and ancient beech forests make a highly attractive landscape for anyone interested in the great outdoors, and the birds don’t hurt. That said, I’ve not managed to get there in a long time, because you need to actually make an effort to get there, and as we’ve established before I’m not much of one for making any kind of effort. Lucky for me there’s a little bit of Westland that’s prepared to come to me. 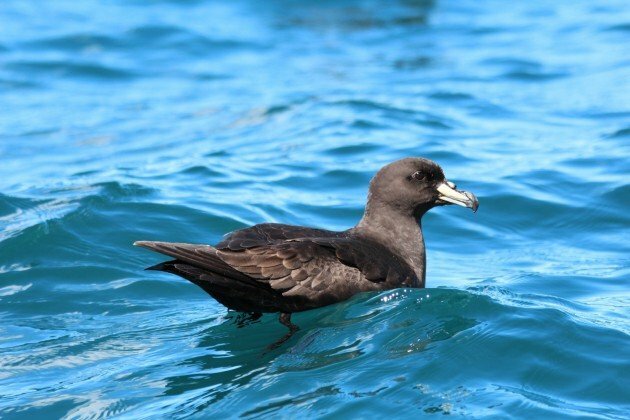 Westland Petrels are endemic breeders to New Zealand, and an attractive large black seabird. 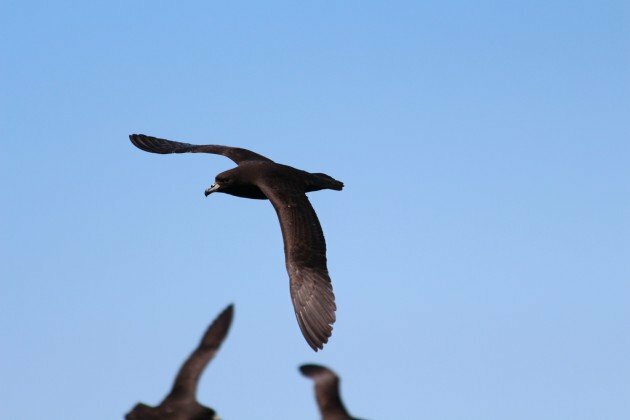 It is one of several species of Procellaria petrels found in New Zealand, and several more that are found in the southern hemisphere. The species is somewhat unusual in that it is one of the few procellariids that still breeds on the mainland of New Zealand. 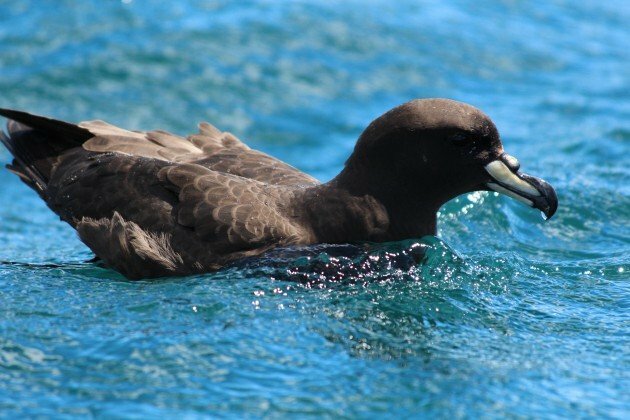 Once upon a time a number of species of petrels bred on the mainland on New Zealand, but as more and more mammals arrived here most of them were lost, surviving only on offshore islands, or in the case of the Scarlett’s Shearwater, they were lost entirely. 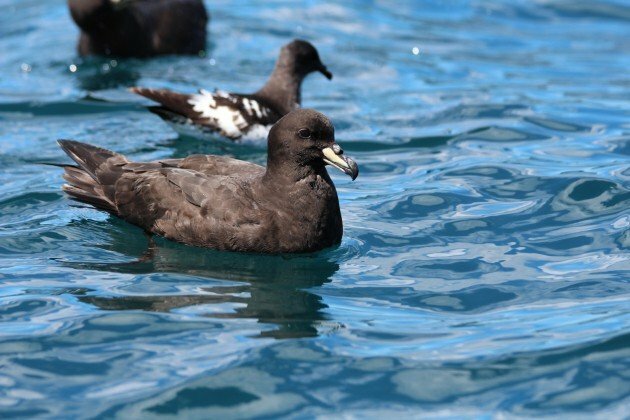 Westland Petrel with Cape Petrel behind. 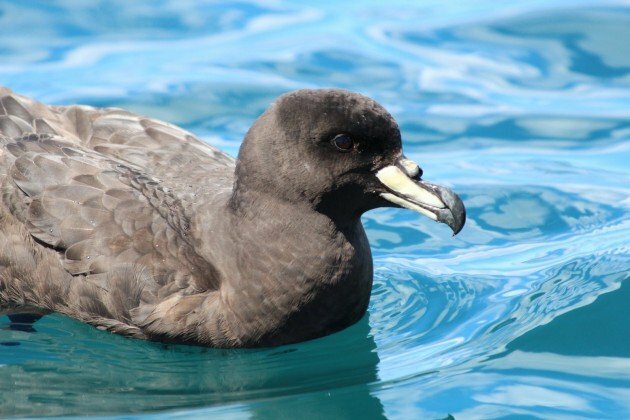 The Westland Petrel, being larger and fiercer than most of them, managed to hang on in the forests of Westland. It’s still certainly threatened, but you can still find them in the woodlands, at least during its winter breeding season (another oddity of this species). 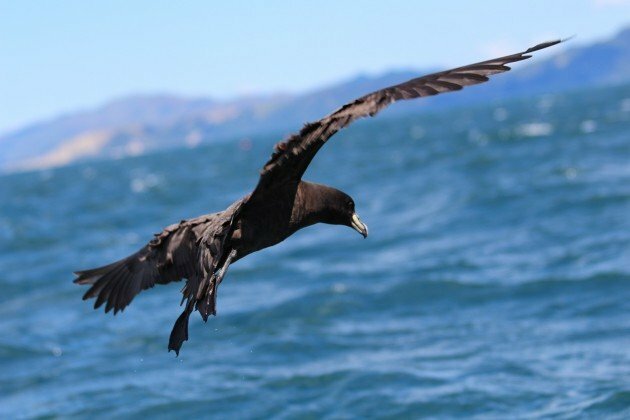 These birds, while breeding on the west coast of South Island, are best seen in Kaikoura, with Albatross Encounter, on the East Coast. 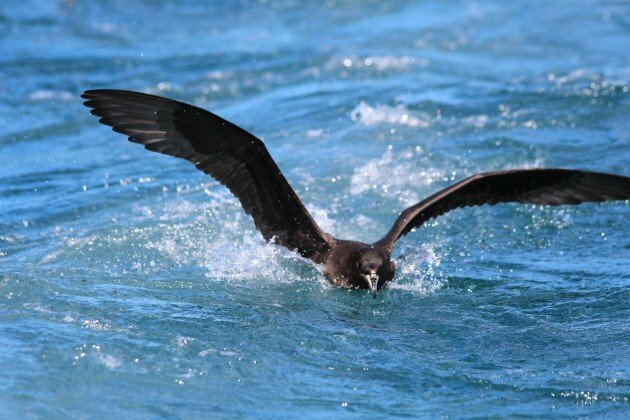 If you go look for them, be sure to read my handy guide to separate the species from the also present White-chinned Petrel! Love the close-ups of this tubenose, especially the last one.